Osteoporosis is a disease that causes bones to become thin and brittle, to the point where they are more vulnerable to fractures. Bones constantly undergo a process of breaking down and rebuilding. 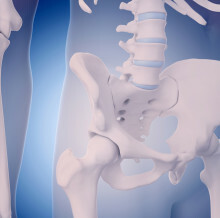 With age, bone breakdown happens at a faster pace than rebuilding, leaving bones weaker. Women are more likely to develop osteoporosis than men, especially if they have a family history of the disease and a small body frame. Because osteoporosis often causes no symptoms until you?ve already broken a bone, the only way to know whether you have the condition may be to screen for it. If you?re at risk for osteoporosis, your doctor will do a test called dual-energy x-ray absorptiometry (DXA) to determine how much mineral your bones contain. This test can determine whether you have osteoporosis. Women age 65 and over, and men age 70 and over should consider having a DXA scan. Central DXA scans measure bone density in the hip and spine. Peripheral DXA scans measure bone density in the wrist, heel, or finger. Your doctor will tell you which measurement you need. The DXA test result is reported as a T-score. This score compares your bone density to that of a 30-year-old person of your gender. A T-score between -1 and -2.5 is considered low bone mass, or osteopenia. A T-score of -2.5 means you have osteoporosis. An osteoporosis -2.5 score indicates you are at greater risk of fracturing a bone in the future. Your T-score results can help your doctor determine which treatment option is right for you. If your fracture risk isn?t high, you might be able to manage bone strength with a combination of diet and exercise. 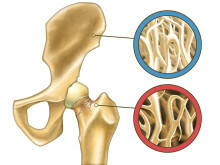 A score of osteoporosis -2.5 may require bisphosphonate medicines, such as alendronate (Fosamax), risedronate (Actonel), ibandronate (Boniva), or zoledronic acid (Reclast). Other osteoporosis medicines include denosumab (Prolia), teriparatide (Forteo), and raloxifene (Evista). A DEXA scan (also written as DXA scan) is what health professionals call dual-energy X-ray absorptiometry. A test that measures the strength of your bones as you age, a DEXA scan is necessary for certain individuals because the body manufactures bone less efficiently as we get older. What is osteoporosis? 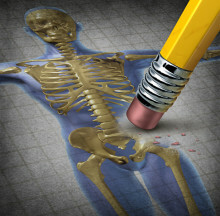 Think of it this way: Healthy bones are in a state of continuous breakdown and rebuilding. This process, called remodeling, is performed by specialized cells called osteoclasts, which resorb (break down) old bone, and osteoblasts, which form new bone. 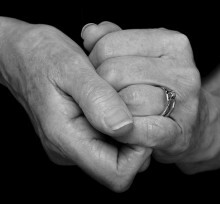 Certain conditions or disorders can develop as we age that impact our quality of life and ability to live independently. Here, we take a look at the most common health problems in elderly people—conditions always worth monitoring.